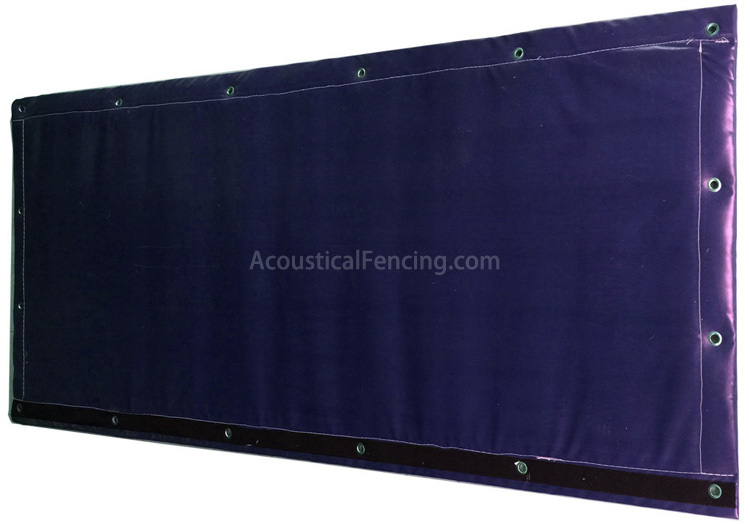 Acoustic fence is a high performance, flexible, tough, mass-loaded vinyl fence barrier curtain offering superior acoustic transmission loss. It was developed to meet requirements for construction and industrial sites. 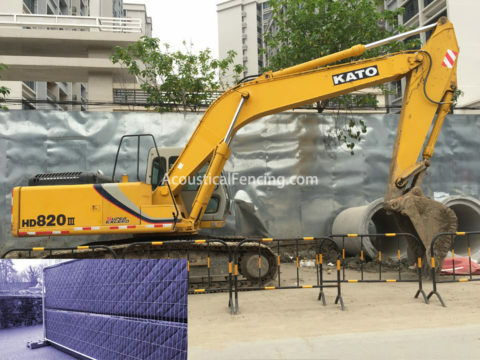 Acoustical fence is tear resistant, with a high tensile strength tarpaulin base fabric that can withstand tough weather conditions and UV light. It was designed to be durable, resist most chemicals, solvents, petrol and offering versatility to hang or drape in long lengths. Acoustic fencing is the ideal choice for outdoor, construction and industrial sites. 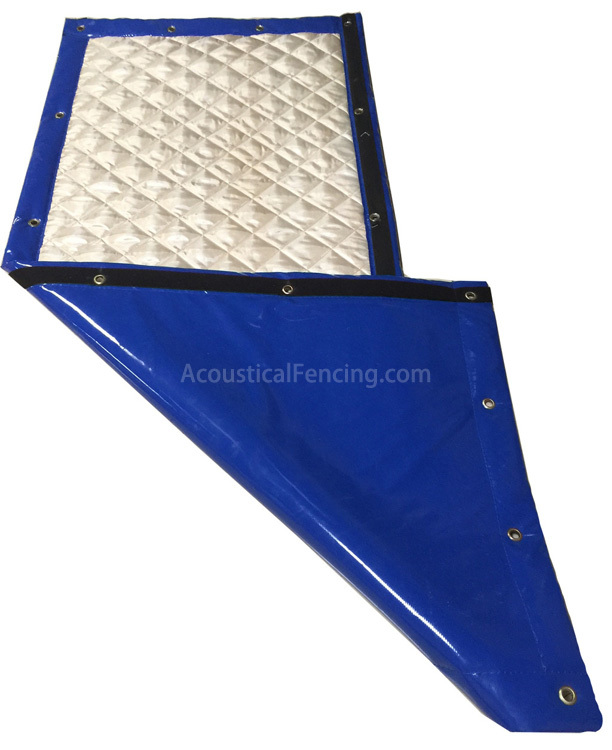 Acoustic fence solutions can be designed as a partial or complete enclosure around noise sources to reduce noise transference. It can incorporate velcro seals, eyelets or other customised requirements meaning the enclosure can be easy to adjust, remove, or for accessibility. 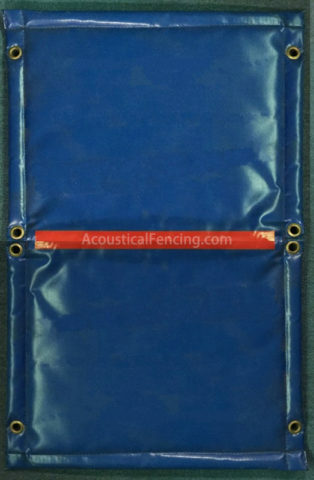 MLV can be laminated inside acoustic fence to further assist in absorbing and reducing noise. It is also simple to cut into various shapes to suit any design or area of application. Acoustic fence is a high performance, flexible, tough, mass loaded vinyl fence offering superior acoustic transmission loss.